. Published on Thursday, September 18, 2014 . 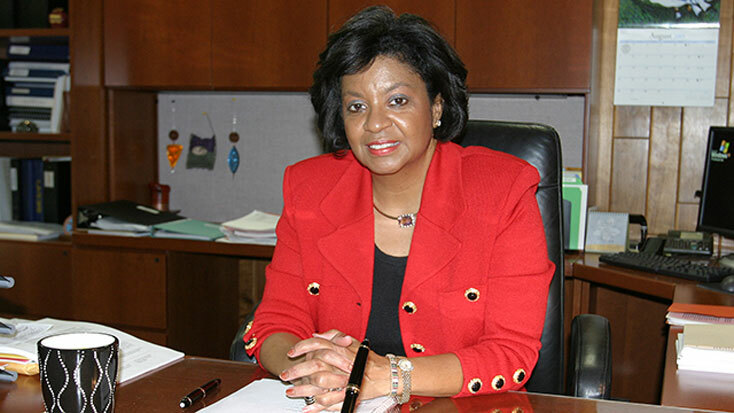 On Sept. 17, 2014, Cal Poly Pomona announced that Dr. Soraya M. Coley will be the new university president, starting January 2015. After serving for 12 years, current university President, Dr. J. Michael Ortiz will be retiring. With an extensive background of social work and over 30 years of experience working in higher education, Coley will be the university’s sixth president, and the first woman to hold this role. Prior to her position at CPP, Coley was the Provost and Vice President for Academic Affairs at California State University, Bakersfield (CSUB). Staying true to the CPP motto, Coley says that her style of leadership encompasses a “learn by doing” philosophy and plans to make the campus more accessible and opportunistic for current and prospective students. During her first few months as President, Coley plans to engage in “Listening Tours,” on campus and in the community as a way to make herself more accessible to students. As the first woman to hold this position on campus, she tends to break down barriers that women and minority students may face while they attend college. Coley intends to “walk every inch of the campus” to engage with students, faculty and staff—so don’t be surprised if you see her walking around campus, Broncos!